This tutorial uses the Geany. Once the build menu item is selected, the project will open in the specified web browser. Project -> New -> Name = webphp, Base path = /project/webphp. Build -> Set Build Commands -> Execute Commands -> Execute = php -S localhost:8000 & sensible-browser localhost:8000/”%f”. 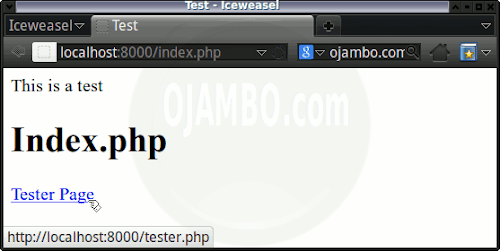 More information about the PHP built-in web browser can be read at Ojambo.com PHP Web Development Without Web Server. The ampersand indicates another command to run. Sensible-browser is the name of the web browser. The Geany character sequence “%f” is substituted by the name of the current file without the path. The default path is the current project path. The PHP code is embedded in the h1 HTML tags. If the document is a PHP file then PHP embedded code can be interpreted by a web server. 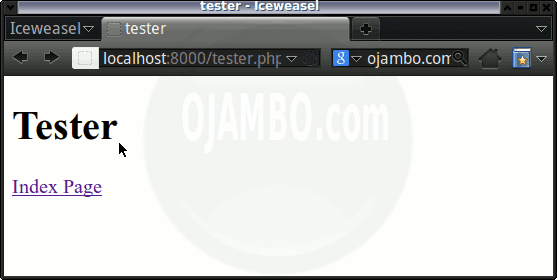 The anchor link points to another PHP file called “tester.php”. The PHP file is loaded as a new page. The PHP embedded code inside the h1 tags is interpreted by a web server. The anchor link points to a separate PHP file called “index.php”. Close terminal to close web server. Geany is a powerful editor that has features only available in much larger IDEs. An important tool that PHP application developers need is project-specific execution. 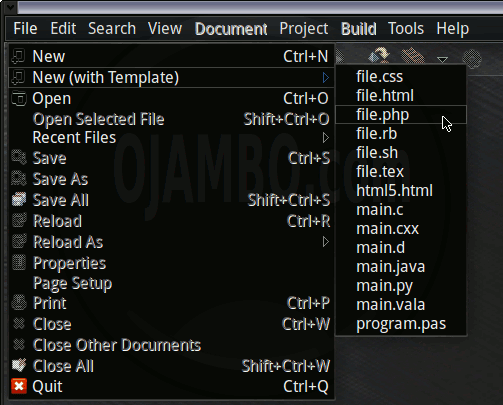 Each project can have custom menu labels and commands. The build menu configuration for a project can override the system defaults. A new execute command can be created to use the PHP built-in web server and open in a web browser. Create projects for PHP web applications. Create a custom execute command if your will use non web-specific PHP code. This entry was posted on Wednesday, July 31st, 2013 at 12:00 am	and is filed under Tips & Tricks. You can follow any responses to this entry through the RSS 2.0 feed. You can leave a response, or trackback from your own site.